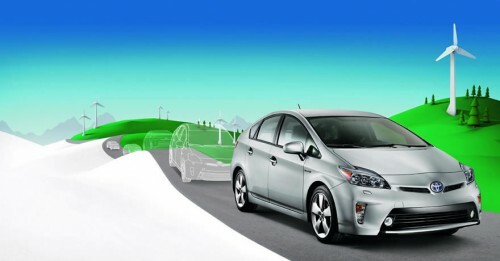 Toyota Prius has now pulled into third in worldwide auto sales. In other words, that thing is popular! Many probably still think of hybrids as “alternative” vehicles, but apparently they are now very mainstream. And this is really good news for 100% electric vehicles like the Volt and the Leaf. Why? Well, their first-year sales are looking much better than the Prius’ were, implying that they will one day be on the top of the heap as well (will make it hard for FOX News to rail against them then). Presumably, rising fuel costs, some new Prius models, concern about global warming, and the fact that the Prius is just a really good car are responsible for its success. And, due to all those factors, the first quarter of 2012 marked the first time the Prius was the third best-selling car line in the world. Green Car Reports notes that while there was only one Prius model per year available up until one year ago, three additional models have been offered in the last year — the 2012 Toyota Prius C subcompact hatch, 2012 Toyota Prius V mid-size wagon, and the 2012 Toyota Prius Plug-in Hybrid. Congrats to Toyota, the folks who work on the Prius models, and all of you who have decided to go and choose a Prius over a conventional gasoline-powered vehicle. In a few weeks’ time, Vauxhall/Opel, a European arm of General Motors, will officially start sales of the 2012 Vauxhall/Opel Ampera. Essentially a Chevrolet Volt in disguise, the Ampera shares most of Volt’s features and, thanks to a lack of On-Star in Europe, loses some of the Volt’s remote functionality. But the European cousin of the Volt has something the Volt doesn’t, something everyone should covet: a charge-sustaining mode. When GM engineers were working on designing a european-version of the Volt, some cities within Europe were considering enforcing zero-emissions zones, effectively banning any car within the zone which could not operate in zero-emissions mode on demand. Often one of the given explanations for why some Hybrids have an electric-only or EV button, the future possibility of zero-emission zones in cities led GM engineers to develop the charge-sustaining mode. Offered as an additional driving mode alongside the Standard, Sport and Mountain modes found on a U.S. market Chevrolet Volt, the charge sustaining, or Hold Mode, allows the driver to choose when to use the 10 kilowatt-hours of available battery power to move the car along. This makes it possible to force the car to use gasoline only while on the freeway, saving its entire battery charge for use in stop-go city traffic. 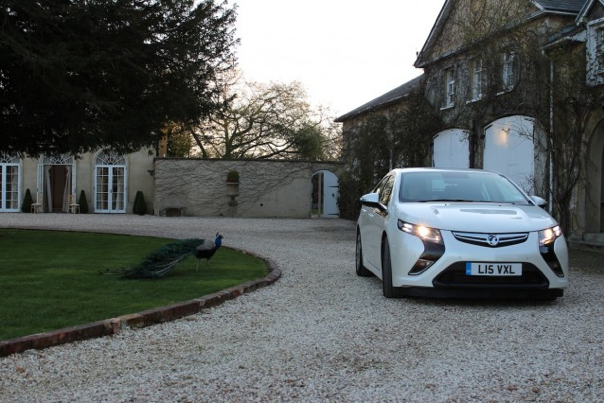 Essentially, Hold Mode allows the Ampera driver to better control the tailpipe emissions of their car, as well as improve gas mileage when driving on mixed roads. The absence of Hold Mode in U.S. market Chevrolet Volts, like the missing EV button in 2004-2009 Toyota Priuses, hasn’t escaped the attention of Volt fans in the U.S. In much the same way as the Toyota Prius and Nissan Leaf have benefited from after-market user ‘hacks’ designed to give drivers features missing or desired on U.S. market cars, we imagine it won’t be long before an enterprising electronics engineer or hardened fan figures out an unofficial way of forcing U.S. market Volts to enter into Hold Mode. Of course, depending on where you are, carrying out such modifications could potentially cause damage to your car or invalidate warranty, but since both cars are made on the same production line we guess the difference is down to software not hardware. But GM itself might be working to bring Hold Mode to the U.S. At a recent Volt owners’ breakfast meet at the New York Auto Show, at least one owner petitioned Chevrolet to add the feature on U.S. cars. Chevrolet officials present assured the owner that the company was considering doing so, but that the process would require discussions with the EPA before it could make Hold Mode available to U.S. customers.